Another book review, I am a bit slow on getting this up – this was my second read of the year and I’m now on my fourth – I’ve kept up with the ‘book a month’ thing really well so far! 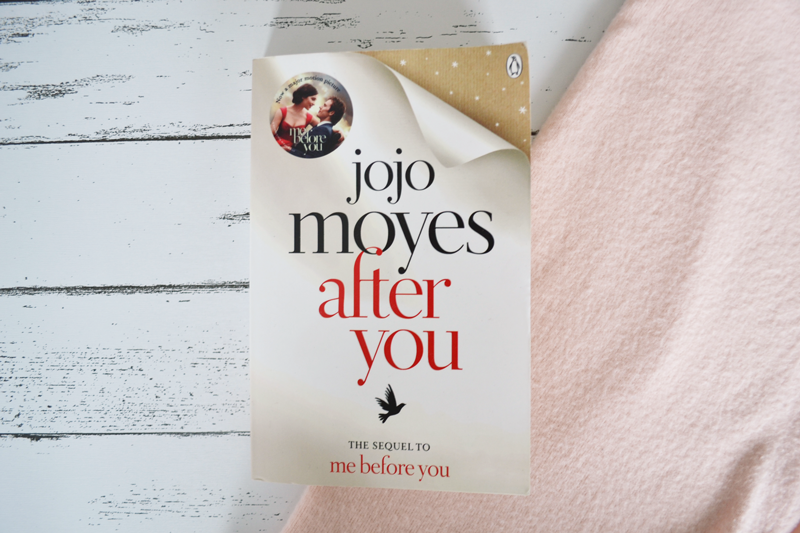 Now I did feel like a shame to the reading community when I read this, as it is the sequel to Me Before You which I haven’t actually read, I’ve only seen the film instead (woops). I loved the film though so definitely need to pick up the book, even if I do know the ending! After you looks at Louisa’s life after Will. I know I like my thrillers but I was really looking forward to a slightly lighter read and I found this brilliant. A bit slow to start but by the end it had me hooked, wishing for Lou to focus on herself for once. It takes you through her bumpy journey of learning a new way of life without Will, and allowing herself to meet someone new, with plenty of drama chucked in for good measure. I definitely would recommend this for a read, especially if like me, you were left teary eyed after the film or last book, it’s nice to have a happy ending!